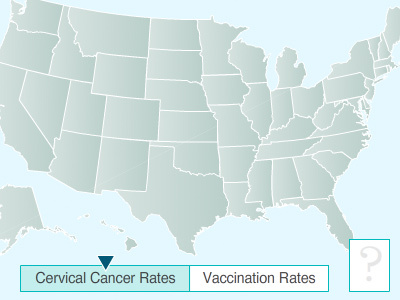 Florida has the nation’s 3rd highest cervical cancer incidence and mortality rates in the United States. Minority, low income, and underinsured women remain at exaggerated risk of being diagnosed with and dying from cervical cancer largely due to underutilization of routine screening and timely follow up for detected abnormalities. The Cervical Cancer Free Florida (CCFFL) Initiative is led by Moffitt Cancer Center and the University of Miami Sylvester Cancer. We will develop necessary infrastructure to support patient-centered translational inquiry to eliminate cervical cancer disparity throughout the state. We will accomplish this end by fostering unprecedented collaboration between diverse stakeholder communities throughout Florida now largely working in “siloes” to generate solutions for health and social change. Through engaging diverse stakeholders, we will enable greater coordination of efforts and resource sharing across Florida by creating a cadre of stakeholders working within a common paradigm focused on patient centered outcomes research. To create a state level agenda to reduce incidence, morbidity, and mortality of cervical cancer in Florida thorough sustained collaboration with key patient/caregiver, provider, policy/payer stakeholders. For more information about CCFFL, please contact Susan Vadaparampil (T: 813-745-1997, Email: susan.vadaparampil@moffitt.org) and Erin Kobetz-Kerman (T: 305.243.6185, Email: EKobetz@med.miami.edu). Susan Vadaparampil, Ph.D, M.P.H., is a Professor-Department of Oncologic Sciences at Moffitt Cancer Center, one of the largest cancer centers in the state of Florida. Dr. Vadaparampil’s work has a strong focus on the impact of provider recommendation and payer/policy on uptake of HPV vaccination. Her research program seeks to develop interventions to improve understanding and health outcomes for parents, adolescents and health care providers related to HPV vaccination. One of her top priorities is to increase unacceptably low immunization rates among our adolescents, especially rates of HPV vaccination. Dr. Kobetz is a national expert in the area of Community Based Participatory Research. She directs the Jay Weiss Institute for Health Equity and the Associate Director for Disparities and Community Outreach at the University of Miami’s Sylvester Comprehensive Cancer Center’s (SCCC). Dr. Kobetz has substantial experience with disparities-focused research, and currently serves as the PI for a U54 and a R01, from National Cancer Institute, to address racial/ethnic and socio-economic differences in cervical and colorectal cancer outcomes. This work involves participation from diverse stakeholder communities across the translational continuum to application.